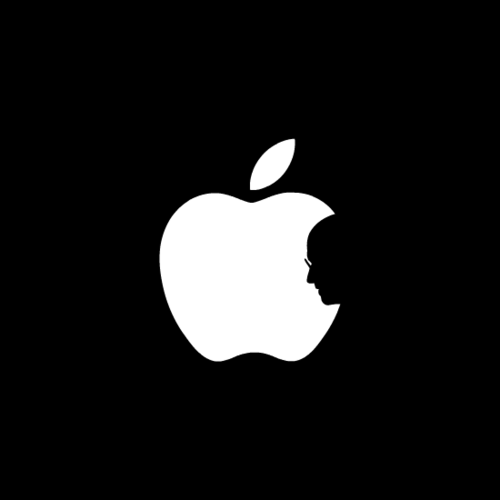 What else could be the topic of my blog post this week other than paying tribute to Steve Jobs. All the writers have written countless obituaries this week about this great man, his life and his work. Today, I want to write about a particular aspect of Apple’s strategy - Steve Jobs’ strategy - that has really impressed me over the years. It is the ability to pursue the future by letting go of the past. When a new technology arrives that is capable of replacing an old one, the typical approach for a technology company is to hedge its bets. Start embracing the new while continuing to support the old. You don’t want to disrupt anyone, you don’t want to leave anyone behind, you want to smoothly transition from one technology to another. That means that for several years and revisions, your product comes with duplicate, redundant technologies to make this smooth transition possible. For example, many PCs today still ship with a built-in 56kb modem even though hardly anyone knows how to use dial-up to access the Internet anymore. But you have to support the modem in case some grandma in Minnesota still doesn’t have DSL. After all, she might select someone else’s make of PC and that would be bad, right? That’s not how Apple operates. That’s not how Steve Jobs pursued the future. In his world, when a new technology comes around that it better than the old one, you just go for it. You want to speed up the transition. You want to drag everybody with you, even that grandma in Minnesota. A leader has to lead and Steve Jobs never hesitated to do so. When the first Macintosh came on the market in 1984, it had a graphical user interface (GUI) instead of the then usual command line interface. There was no command line anymore on the Mac - everything was done though the GUI. Windows 7, in contrast, still has a command line interface available just in case you feel like typing “C:>ipconfig /renew Local Area Connection 2”. OK, the "cmd" program is bit more hidden now than it used to be, but Windows has opted for a long smooth transition from DOS. Apple just went for it. The Mac also came equipped with the relatively new 3 and ½ inch diskette drive and no longer with the then much more common 5 and ¼ inch drive. The 3 ½ “ diskettes were far superior to the “floppy disks” but PCs would be shipping for another decade with dual drives for both 3 ½“ and 5 ¼“ diskettes. Again, most PC makers opted for a smooth transition while Apple just went for it. Shortly after that, Steve Jobs was famously ousted from Apple and not many bold moves happened until he came back. In the mean time, he became a billionaire by taking Pixar public and eventually selling it to Disney. Then he also sold NeXT to Apple and in 1997, he was back at the helm. When the iMac shipped in 1998, it came without a diskette drive. No diskettes, only a CD-ROM drive (later a DVD drive) and a USB slot. That was bold and controversial back then. How are people supposed to exchange files without diskettes? Using the network or a flash memory wasn’t the way people usually did it back in 1998. For many more years after, that PCs used to come with a diskette drive and most people had a box of diskettes next to their PC (if you are over 30, you still have that box somewhere in the attic, just admit it). In 2001, the iPod was launched with some amazingly bold limitations. It would only play files in the MP3 format (and in the Apple Lossless format which I am a big fan of). Remember, back in 2001, there was a plethora of audio formats used to play music including Microsoft’s WAV, Real Audio format (.RA), Sun’s AU format and others. But Apple said, forget it, we go with MP3 which was popularized by Napster and we all followed. Most of the other formats are disappearing today. The other famous format bet that Apple made, is the bet against Flash on mobile devices. We are still not quite sure how this one ends up but the history shows that Apple usually gets its way. Talking about mobile devices, I have to mention the iPad. When it first launched in 2010, it drew plenty of skepticism for coming only with a wireless Internet connection. No diskettes, no CDs, no DVDs, no USB slot...heck, not even a SD card slot. Many of us are still moaning that we want at least a SD card slot but we are happily buying our iPads anyway. My final example is the Apple TV 2. When it was released in September 2010, Apple decided that the old way of hoarding content in your home library is no longer sustainable as the HD movies are too big. And so they shipped the new Apple TV without a drive for storing movies. Instead, renting is the way to go - the only way to go. Last week, Apple announced their iCloud service, and so I suspect that a cloud-only music player might be coming soon and we will stop hoarding music too. From a vendor point of view, all these moves were incredibly courageous and for most vendors they would be considered huge gambles, well beyond the comfort level. Yet they all follow the principle that Apple and Steve Jobs embodied for decades - decide what’s best for your customers and have the courage to deliver it. Lead, don’t ask for directions! Even if it takes courage to lead. To pursue the future, it is good to let go of the past.